The 28-year-old British woman who was found dead near a beach in south Goa on Tuesday was raped before she was murdered, a police officer said today, citing the postmortem report. The autopsy conducted by a panel of doctors of the Goa Medical College and Hospital (GMCH) has confirmed the woman was sexually assaulted before she was throttled, according to the police. 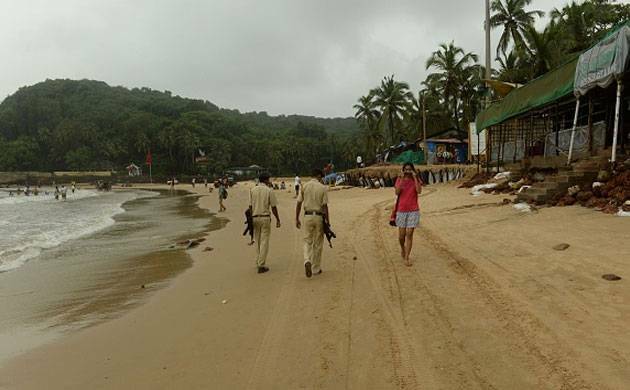 The disrobed body of the woman, who had a British passport, was found at an isolated spot near a beach in Devbag village, located about 80km from Panaji, on Tuesday. According to police, her face was smashed by the accused apparently to conceal her identity. "The cause of death was compression of neck and the cerebral damage after she was hit on head with a beer bottle. The autopsy has confirmed that she was raped before murder," deputy superintendent of police (Canacona) Sammy Tavares told PTI. Police had on Wednesday arrested Vikas Bhagat, a local history-sheeter, in connection with the murder. He was remanded in seven-day judicial custody by a local court. Tavares said there was a scuffle between Bhagat and the woman before she was murdered. Another senior police officer said the woman was hit on head with a beer bottle by the accused, who he said has "confessed to the crime." "Police have traced a bag filled with clothes of the deceased, which was found dumped in an open space in Canacona after the murder. "We have also found the broken beer bottle, which was reportedly used to kill her, from the bag," he said. The woman had been holidaying in south Goa since her arrival in the coastal state on February 23. Police said she was seen playing Holi with locals in Canacona, hours before her corpse was found.